Autumn is a magical time! 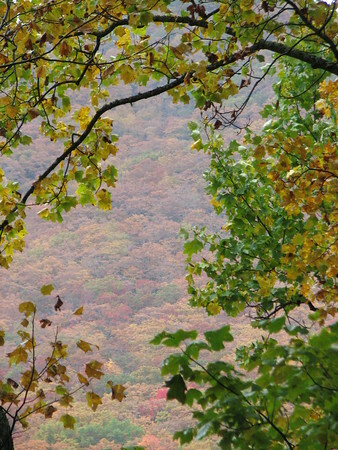 Peering through the trees to the mountains beyond, we see a mountainside canvas of spectacular color! The Blue Ridge Mountains are ablaze in color!